Nutrition Challenge is officially over with! This week make sure you get your measurements done as well as take your pictures! Make sure to those of you who did the Nutrition Challenge to make sure your measurements have been taken and your pictures have been sent, as well as points added up! We should have the winner’s figured out by next week! Ultra moist almond flour blueberry muffins from scratch are quick and easy to make! 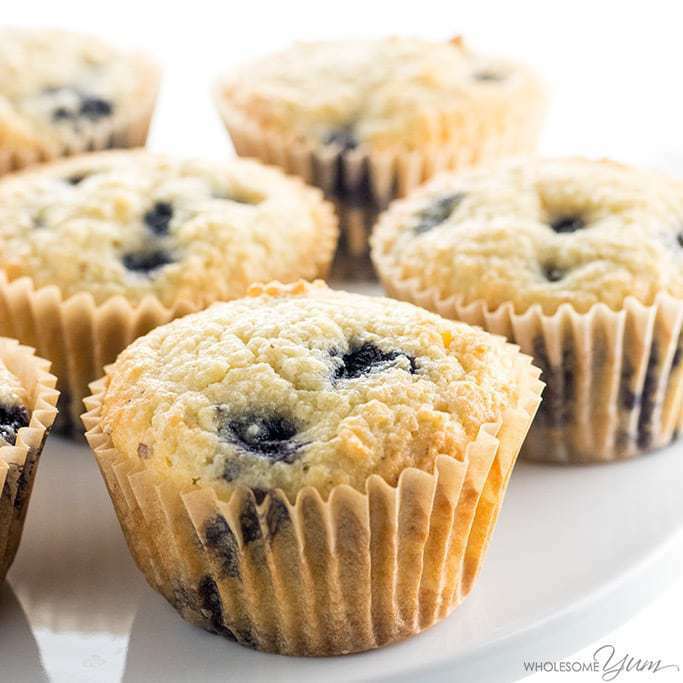 This low carb paleo blueberry muffins recipe takes just 30 minutes. Preheat the oven to 350 degrees F (177 degrees C). Line a muffin pan with 12 silicone or parchment paper muffin liners. In a large bowl, stir together the almond flour, erythritol, baking powder and sea salt. Mix in the melted coconut oil, almond milk, eggs, and vanilla extract. Fold in the blueberries. Distribute the batter evenly among the muffin cups. Bake for about 20-25 minutes, until the top is golden and an inserted toothpick comes out clean.